Searching for ice – Pamela Wood. 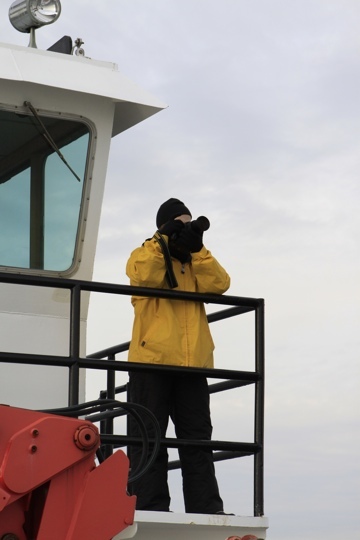 Many thanks to Gary from PropTalk magazine for sending along this photo from our trip aboard an icebreaker. You can check out my story, photos and video (yes, video!) at HometownAnnapolis.com.